The Asics Gel Craze TR 2 for men is described as going above and beyond by the manufacturer. According to Asics, the Gel Craze TR 2 has “exceptional support, excellent fit, and superior comfort.” The improvements they describe start with FluidAxis® Midsole Technology that follows the joint pattern of the foot with deep flex grooves enabling the trainer to respond to the foot’s natural movements. 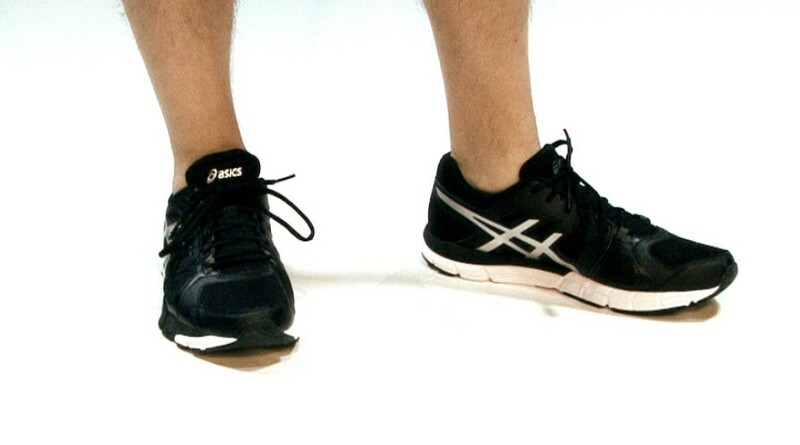 Asics claims the asymmetrical design allows for a secure fit and feel, even during swift movements in the forefoot. Yet during lateral moves, the soft EVA foam used in the SpEVA® Midsole assists with support by lessoning the pressure on the foot as it absorbs shock from the movement. It provides a midsole with faster bounce back material and slows breakdown. Further impact protection is provided by the Rearfoot GEL® Cushioning System that lessens shock and improve transition to midstance in this athletic trainer for men. The Asics Gel Craze TR 2 mesh and synthetic suede upper along with the mesh lining allows breathability while the non-marking rubber outsole improves traction on most surfaces. The 9.7 oz weight of the Asics Gel Craze TR 2 creates a light feel for athletes or a casual day. The light padding of the collar and tongue help keep the weight to a minimum.This lace up trainer is runner based but is promoted by Asics as good for any activity. 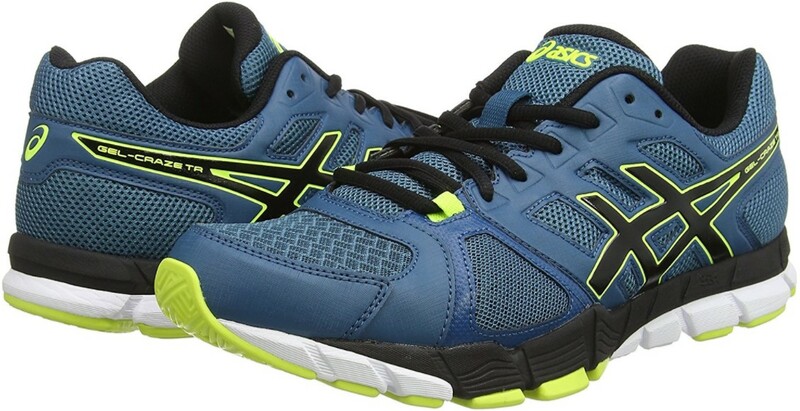 Reviewers who purchased the Asics Gel Craze TR 2 rave about the support especially during lateral movements. The main criticism is the limited color choices. The five base colors for this shoe include mosaic blue, sapphire blue, aluminum, black and stone with one or two highlight colors. Another problem reviewers mentioned was a lack of arch support for those with higher arches. For those looking for more ankle support, a mid-cut version of the Asics Gel Craze TR 2 is available. It has all the benefits of the Asics Gel Craze TR 2 but has a three quarter mid-cut height at the ankle. The Asics Gel Craze TR 2 Mid weighs in at 12 oz. Both versions of the Asics Gel Craze TR 2 range is price from $50 to $90, making it a more inexpensive trainer. In addition, both have the American Podiatric Medical Association’s Seal of Acceptance for promoting foot health. Asics does not recommend washing these shoes in a machine or using a dryer. They suggest removing dirt or mud with warm water and gently scrubbing to avoid damage. The sock-liner or insole can be removed, as well as the laces, to be washed separately. To dry the shoes, Asics offers the hack of stuffing the shoes with paper towels or newsprint which will absorb the water inside the shoe, accelerating dry time. You may like top 8 2018 Asics cross trainers for men.